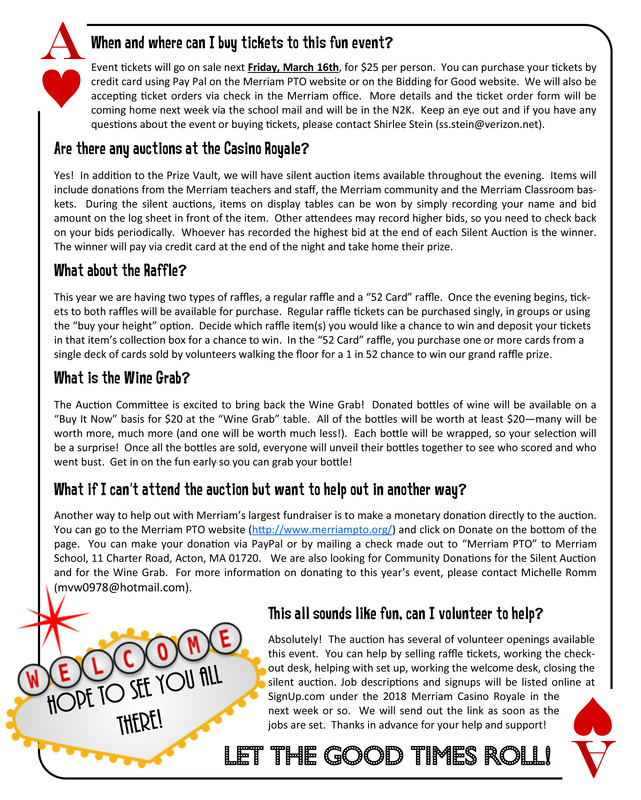 Since it has been a few years since Merriam has hosted an auction, the Auction Committee wanted to take a minute to let those families new to the Spring Auction know a bit more about how this fun new event works. You will find the following FAQs for the event answered in the attached post. If you have other questions, please contact Michelle Romm (mvw0978@hotmail.com). Hope to see you there on Saturday, April 7th, to help support our wonderful classroom assistants! 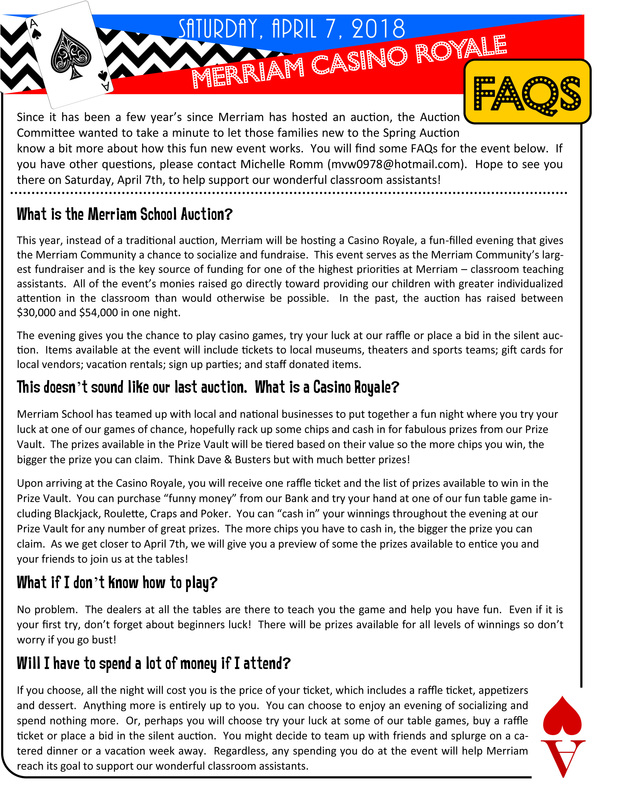 What is the Merriam School Auction? That doesn’t sound like our last auction. What is Casino Royals? Will I have to spend a lot of money if I attend? When and where can I buy tickets to this fun event? Are there any auctions at the Casino Royale? What is the Wind Grab? 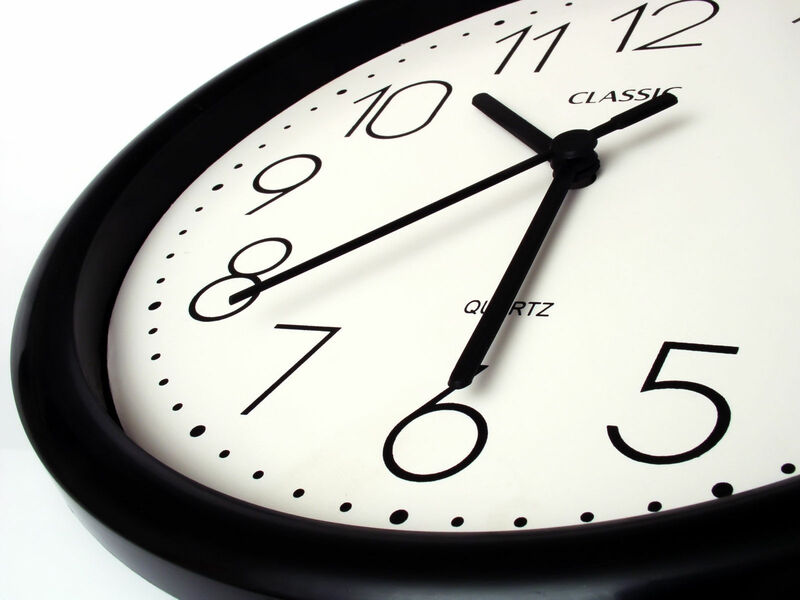 What if I can’t attend the auction but want to help out in another way? This all sounds like fun, can I volunteer to help? Reserve your Casino Royale Tickets TODAY!! Save the Date for the 25th Annual Acton Summer Camp Fair! !